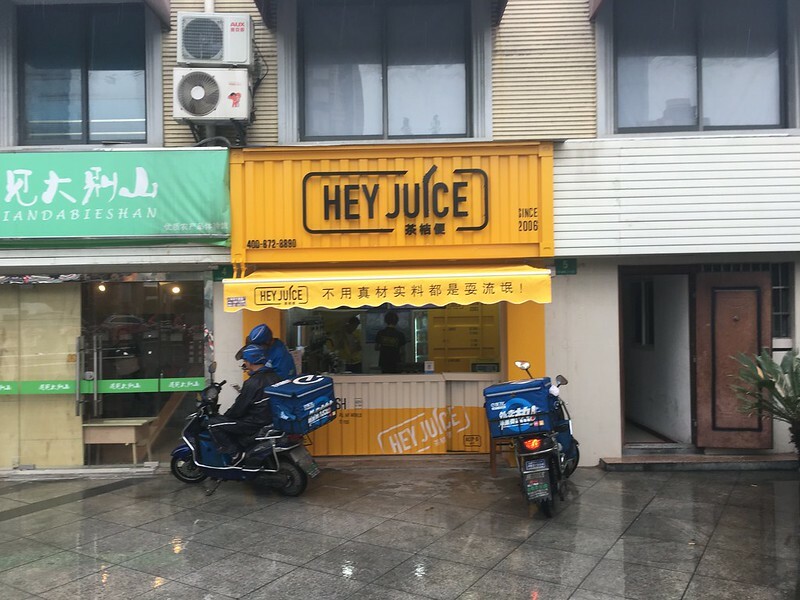 Yeah, the original “Hey Jude” pun doesn’t exactly carry over for any random drink. 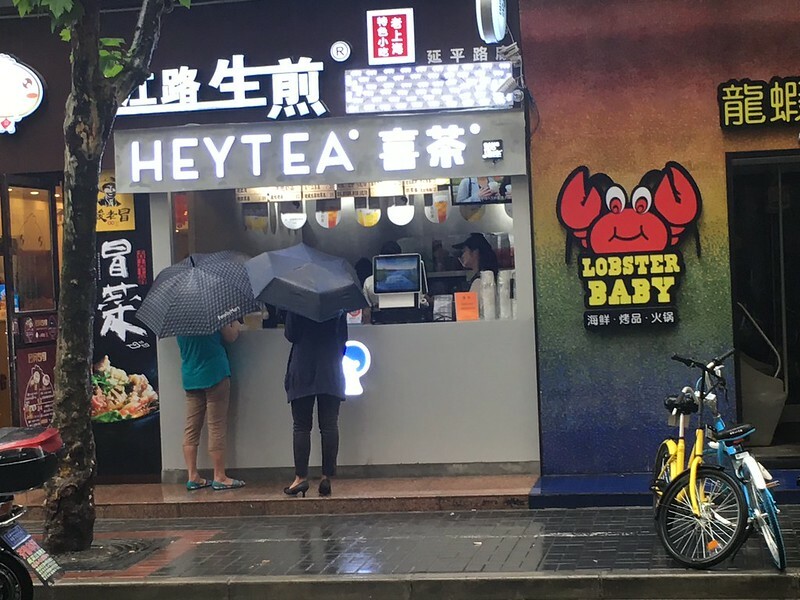 UPDATE: Tom in the comments points out that Hey Tea is a big chain from Guangdong, so it looks like my theory is off. That’s just from the Cantonese pronunciation of 喜, isn’t it? Not sure, but my theory is that that 喜 was chosen after the “Hey.” I’m not going to investigate this particular X-file, though! I bet Fonzie had something to do with it.